Join our new Affiliate Program! Cogistem has used the FLY CAD SDK to create a plug-in for DesignCAD that enables customers to open and edit PDF files while in the program. Located in Paris, Cogistem is responsible for the localization and sales of DesignCAD for all French-speaking European countries. For more information about the plug-in, contact info@cogistem.com. When should I choose vector or image mode? There are two basic formats for graphics – vector and image. Vector graphics are made up of objects, lines, curves and text while images are made up of a collection of dots or pixels. Images are also referred to as bitmaps or rasters. Visual Integrity can convert most PDF files into either vector or image formats. It’s important to know which is best for the job you are doing. If you need to break a PDF file down into objects and text for editing, then you want to choose a vector format. The vector formats supported in our software are DXF, PDF, PS, EPS, SVG, WMF, EMF, CGM, HPGL and MIF. If you do not need to edit the file and simply want a sharp copy to insert into a document or to publish on a web-site, you’ll want to go with image formats. The image formats that we support are TIFF, GIF, PNG, JPEG and BMP. If you will be printing the graphic on a laser or ink-jet printer, convert at 150 or 300 dpi (dots per inch) resolution. If publishing to a web-site, use 96 or 72 dpi is best for screen display. Keep in mind that the higher the dpi (resolution), the larger the file size. It’s best to use the lowest resolution which achieves the level of quality you want. Note! Scanned images can not be transformed by vector mode into lines, text and other vector objects because they are not vector source files. Instead, you will get an exact replica of the PDF as an image that can be used as a tracing layer which aids in the duplication effort. To convert scanned images into vector objects, you need a special class of software called “raster to vector”. What is the difference between WMF and EMF? WMF, or Windows Metafile, is the original 16-bit metafile format. It is the native vector graphics format for the Microsoft Windows platform. It is also the standard format for scalable graphics in Microsoft Office and many other Windows applications. Even though it has been enhanced and extended as a 32-bit format (EMF -Enhanced Metafile), WMF is still the most widely used and supported metafile format on the Windows platform. How can I create a PostScript file from an application on my PC? It is easy it is to create a PostScript file from virtually any application on a PC. Most PC’s are likely to have a PostScript printer driver configured in its printers settings. If not, you must Install a PostScript Printer Driver before going any further. Choose your PostScript printer. Note that you can use any PostScript driver included with Microsoft Windows without having the actual printer since you will simply be printing to a file. Press “OK” to print to file. Note that the PostScript tab under Properties should be set to Encapsulated PostScript (EPS) for best results. You will be prompted for a file name and location. If you do not assign .ps as the extension, the default in Windows will be .PRN. Both are valid input extensions. Open your Visual Integrity software and when prompted for a PostScript file to convert, go to the location chosen in Step 4 and select the new .ps or .prn file for conversion. 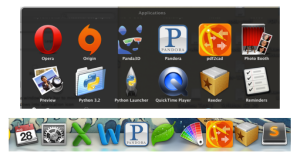 The extension does not matter – Some systems give printer files a default extension, like .prn or .plt. This does not matter. If the file has been created using a PostScript printer driven, the result will be a PostScript file that Visual Integrity software can convert. Watch out for PCL: Most HP printers use a printer language called PCL. The default mode on HP PostScript printers is usually PCL. PCL can not be converted by TGC. Be sure that your HP printer is in PostScript mode to ensure a successful conversion. Save directly as PostScript or EPS files – Many applications allow you to save your files as PS or EPS through their “Save as…” menu. A few even produce PostScript by default. This results in good input for our conversion engine. Fonts – Try to use standard PostScript fonts like Helvetica and Times New Roman. Non-PostScript fonts, such as Type 1 fonts and TrueType fonts should be embedded so that the text data is available in the PostScript file. This gives our software the best chance to preserve the fonts during conversion. The Computer Graphics Metafile (CGM) file format is used to render graphics in a wide range of technical applications. It is output by many specialized programs in the aerospace, semiconductor manufacturing, automotive and telecommunications industries. CGM is most commonly used in these organizations for product operation, maintenance, repair and other technical manuals. It is also used in the petroleum industry for mapping, lithology cross-sections, seismic traces and well logs. The U.S. military uses CGM for simple redlining on top of raster (map) data. CGM is a format supported both in print and on-line (IETMS). CGM is typically used for technical illustrations in SGML/XML documentation systems, and now, more and more, for Web-based systems like IETMS (Illustrated Electronic Technical Manuals) and e-Catalogs. Outside of these specialized, technical industries, CGM has largely been superseded by formats such as SVG and DXF. The World Wide Web Consortium (W3C) has developed WebCGM, a profile of CGM enjoying specialized use of on the Web. Over the years, several different versions of CGM have been spawned to meet the needs of various industries. There are specific industry profiles (ATA, MIL, PIP) and four different levels as well as WebCGM. As a result of this diversification, interoperability is often a problem: the target application is unable to reliably interpret the particular flavor of CGM generated by the source application. Many content creation applications have started outputting Level 3 or 4 CGM. However, many applications on the receiving end have not yet implemented full support for these higher levels. Visual Integrity helps industry manufacturers, suppliers and software vendors turn graphical data into the CGM format. It does so for many source applications which do not offer CGM output, and also for applications which already do – but are incompatible with the end user’s target application. Input formats include PDF, PostScript, EPS, WMF and EPS. CGM files generated are compliant with all levels and industry profiles. By default, our software produces the common denominator subset of CGM (we like to call it ‘vanilla CGM’) to ensure optimal interoperability with the viewing, authoring, and publishing environment downstream. This ‘vanilla CGM’ handles files typically produced and used in technical industries. When a CAD drawing is saved or exported as a PDF file, it includes rich data about every object and every character. This is known as a vector PDF file. 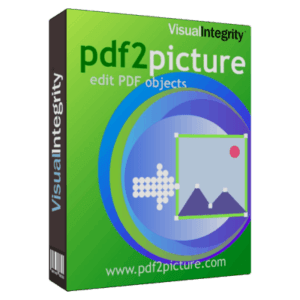 With these files, Visual Integrity software can be used to extract all of that information and render it as an editable drawing for use in CAD programs, Microsoft Visio or other drawing, illustration or presentation programs. Our software includes many special options which allow fine-tuning of the results or even compensation for information lost in the transition to PDF. For example, you can reconnect objects, separate layers and consolidate characters into words or lines. 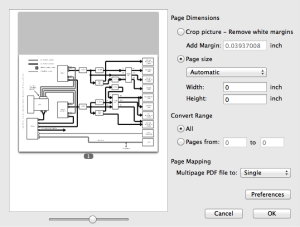 Two things to watch out for when converting PDF are scanned PDF drawings and text issues. Scanned Drawings – When a drawing is scanned and saved as PDF, our software will not create an editable drawing. It is a raster PDF file. The reason for this is that when the drawing was scanned, it was reduced to a flat image, like a photocopy or snapshot. Any information about the objects, lines and text is lost and there is nothing to to extract. The best conversion in this case, will be a DXF or WMF file containing the flat image which can then be used as a tracing layer. Other options include searching down a solution which will electronically “trace” the drawing (Google “raster to vector”) or using a service bureau to manually redraw it. Test Issues – Sometimes, text will not convert. This is because the characters were not saved in the PDF file as characters. Instead, they were “plotted” as pen strokes. While an “E” looks like an “E” on screen, it is actually one vertical line and three horizontal lines. Once the character definition is lost in the PDF file, it can not be extracted. In this case, in order to edit the text, you can use what’s there as a guide to add new text to the fie and delete the graphical text. An easy way to know if you will get editable text during the conversion is to open the PDF file and try to select the text on screen. If you can select it, it will convert. If you can not select it, it just looks like text but is really a graphical object. Why won’t my drawing convert? There are two types of PDF files – raster PDF and vector PDF. If your drawing will not convert, it is probably a scanned drawing saved as a raster PDF file. Unfortunately, there is no useful data in a raster PDF file for us to extract about the objects or text. When a drawing is scanned, it is reduced to a flat image, comparable to a snapshot or a photocopy. There’s nothing you can do except trace over it manually or with tracing software (raster-to-vector software). One way or another, you need to recreate it. Our software is designed to convert vector PDF files. These files are created on computers using save, export, print-to-file, etc. These vector PDF files contain a rich data set and all the information we need to accurately extract the drawing and render it in a format Visio or AutoCAD, etc can digest. 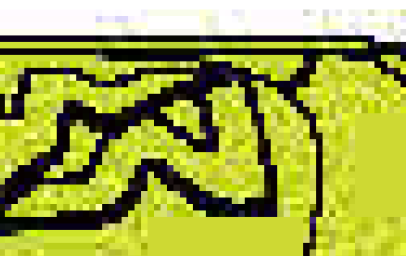 For comparison sake, below is a snip of a raster PDF file at 500% where the characteristic “jagginess” or pixelation of raster PDF files can easily be seen. Below it is a snip of a vector PDF file which is remarkably smooth and clear even though it has also been zoomed to 500%. This visual method is a very easy and accurate way to determine if your PDF file is a raster or vector. Most people get both types of files so pdf2cad or pdf2picture may be useful for some of your files. A raster PDF (scanned drawing) – jagged and grainy at 500% – you need raster-to-vector software to trace or recreate this or you’ll need to manually redraw it. A sample vector PDF file at 500% – notice how smooth the lines are and how clear the text is. This type of file is best converted with vector-to-vector software like pdf2cad and pdf2picture. When converting a CAD drawing, can I preserve the layers? When a CAD drawing is saved as a PDF file, it still retains information about layers that can be extracted. When converting, pdf2cad looks at color attributes, or other definitions in the PDF file, to create layers. If the option to recognize layers is turned on, pdf2cad gathers all objects with same color and put them on one layer. If the PDF file has three colors, the resulting DXF file will have three layers. It is then easy in AutoCAD to turn off a complete layer. 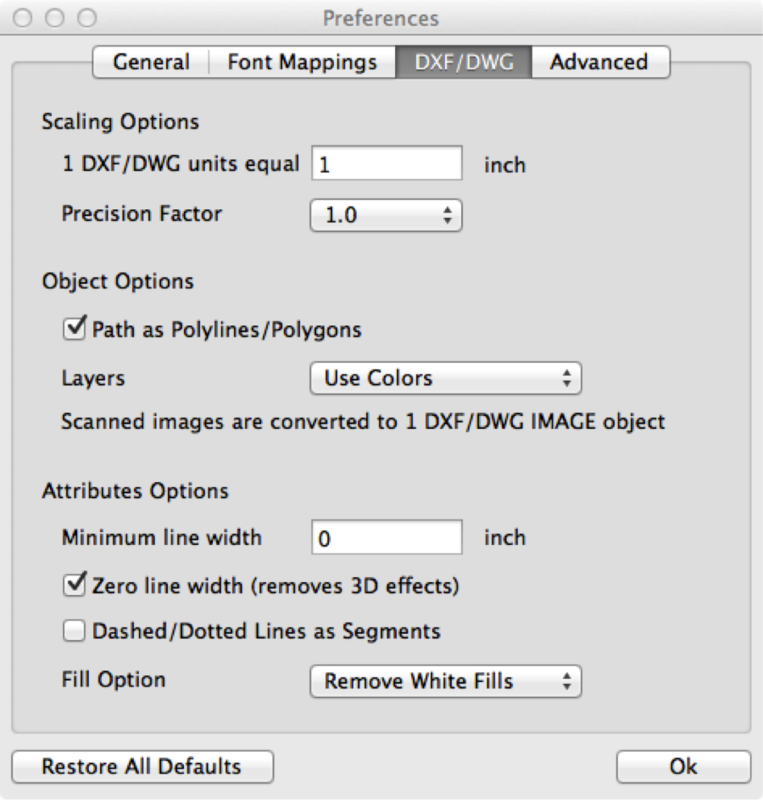 This setting can be found in the Options->DXF tab of PDF FLY or simply under Options in pdf2cad. The DXF drawing looks fine but it is not to scale. Can this be improved? 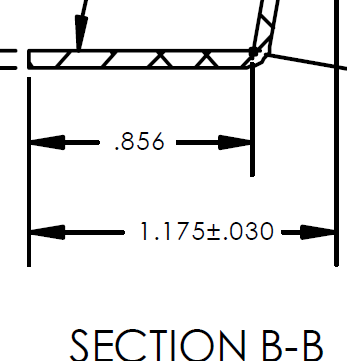 The DXF file format does not define physical dimensions using absolute measurements from a ruler. Instead it uses units which the user defines. When you create a PDF file from a CAD drawing, it is transformed to paper/print dimensions and the meaning of the original CAD units are lost but the xy relationship remains. As a result, pdf2cad can not restore the intended dimensions but it does preserve the scale. This means that you can calculate a scaling factor to apply during the conversion to achieve the size drawing you want. By default, pdf2cad uses 1mm(0,03937 inch) in the PDF = 1 unit in the DXF. You can change this under the DXF Options tab. You can also scale the DXF after import into your CAD application. Tip: Sometimes pdf2cad delivers better precision and more accurate coordinates if you change one of the values in your pdf2cad.ini file. Please try setting the ctm_scale to 10.0 instead of 1.0 (default) in the pdf2cad.ini file. If this does not help, please send us the file to diagnose. I can’t edit the text when I open the DXF file in AutoCAD. Why not? If the PDF file contains characters, pdf2cad will convert them and map them as MTEXT objects in the DXF file. Unfortunately, when creating a PDF file from a CAD drawing, the text is not always retained. Sometimes it is “plotted” as pen strokes or turned into curves. When this happens, the character definition is lost. There is nothing that pdf2cad can do about this – it can only reproduce the curves (=SPLINES entities) in the DXF file. What looks like text in the original file may actually just be an object, comprised of a series of pen strokes that looks like a letter. Tip: to see if the text in your PDF drawing is live and searchable, open the PDF file in Acrobat (Reader) and use the Text Select tool. If you cannot highlight any words, the text is already outlined to curves. If a PDF file contains searchable text, pdf2cad will reproduce it as MTEXT in the DXF file, preserving the fonts and styles. 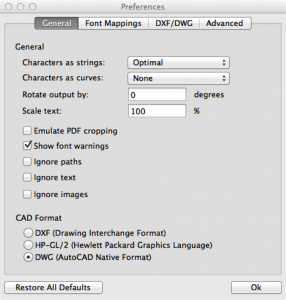 Tip: To create a PDF with searchable text from AutoCAD, make sure to use TrueType fonts in the drawing and ensure that your printer driver is set to retain text as text instead of converting it to curves. Text can be lost in either of these two steps in creating a PDF file. See how to create a PDF file with searchable text from CAD Digest. 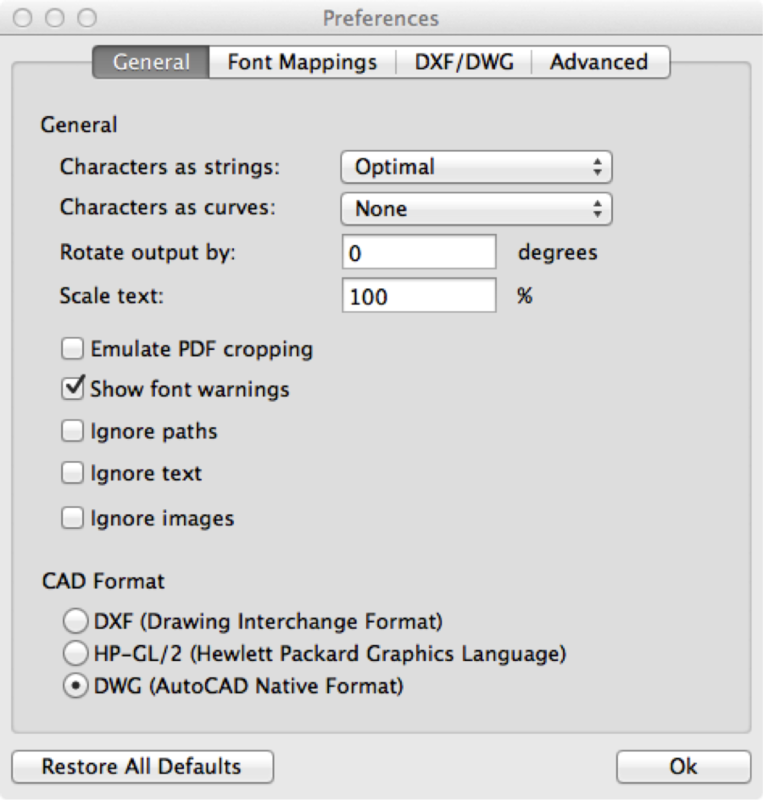 Tip: if your PDF files contain non-Roman font text (such as Chinese, Arabic or Cyrillic), or if the text looks garbled in the DXF output, try using the “Convert characters to curves” option in the General tab of the Options menu of pdf2cad. This outlines the text during conversion to ensure WYSIWYG rendering (not editable). 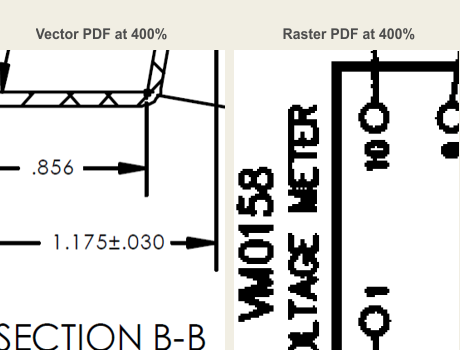 Why do lines appear to have a width dimension associated with them when converting PDF to DXF? When you see a width dimension or what look like very fat lines in the drawing, you need to adjust the line width setting. It’s possible to turn off (reduce to zero) the line weight on the DXF Options tab or via Command Line. Change the value of the function zero_linewidth from 0 to 1 in the pdf2cad.ini, which is in the installation directory of pdf2cad and rerun the conversion. The installation directoryby default is C:Program FilesVisual Integritypdf2cad. Hidden/dashed lines appear to have been separated into individual objects. Why is that? When the PDF file was created, the dashed lines were created as small individual line segments. 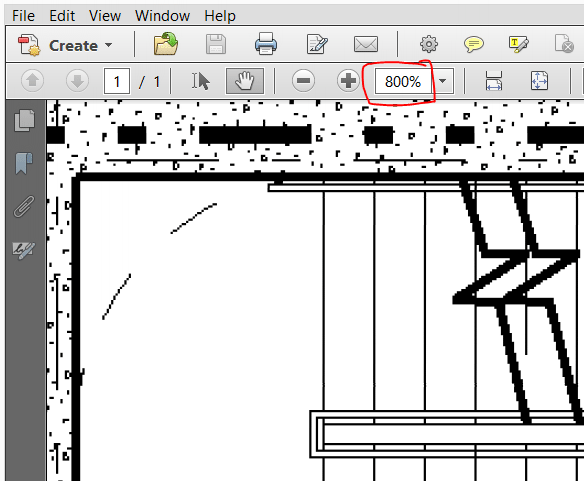 Because of this attribute in the PDF file, pdf2cad converts them as small line segments in the DXF file. pdf2cad does not yet have an option to recognize these segments. as a line with a certain dashed-line attribute. It’s easy to tell whether your PDF file is a raster or vector format by viewing it in Adobe Acrobat. This is important since the two file types are converted differently. Vector PDF files are best transformed through data extraction. This is accurate and precise and involves minimal manual clean-up. Raster PDF files are traced since there is no data to extract. This is an approximation and requires operator involvement as well as manual clean-up. Visual Integrity is specialized in tools for vector conversion and will produce high-quality, accurate drawings from vector PDF input. If a raster PDF or scanned drawing is run through our software, we will turn the flat image into a tracing layer for manual work-up. Start by opening your PDF file with Acrobat or Acrobat Reader. Click anywhere on the drawing. If it turns blue, it’s a scanned drawing. Depending on the quality of the scan, you may have some success with a raster-to-vector tool. Alternatives are to manually redraw it or outsource it to be redrawn by a service bureau. A scanned drawing as it opens on-screen in Acrobat (It has not yet been selected). Once you click anywhere on the scanned drawing, the entire drawing is selected and turns blue to signify this. Open your PDF file with Acrobat or Acrobat Reader. Use the Magnifying Control to zoom in on a detailed section of the file. At 100-150%, it may be hard to tell the difference. Continue zooming until you are at a magnification greater than 400%. When magnified, a scanned drawing will look jagged, noisy, blurry or dirty. If you are uncertain, magnify some more. The higher the resolution of the drawing, the more magnification it needs to degrade. Vector files will look perfect at any resolution. The section of the picture should be magnified on your screen and it should become apparent whether you have a vector or raster PDF file. The Vector PDF file will look clear and smooth at any resolution while the raster PDF will become dirtier and grainier the more it’s zoomed. In the example below, the section is enlarged 400%. Sometimes, it’s necessary to magnify the file more than 1000% when it’s a high-res scan to determine the file type. How to find your version number. If you do not know what version you are using, then launch the software. After that, click “Cancel” to bypass the file selection screen. Then, click on the box with two arrows in the lower left of the window. It will inform you of your version and build number. If you do not have the latest build, you can Upgrade or purchase a 1- or 2-year Advantage Support Subscription which ensures you always have the latest version and support if you need it. If you are an Advantage Support subscriber, you can log into your account on our web-site and download the latest version at your convenience. 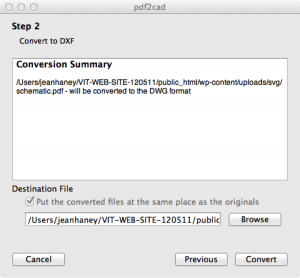 Can I convert PDF directly to DWG with pdf2cad? I tried to convert a scanned drawing and just get a blank page – where’s my drawing? Your drawing is probably scanned. This process flattens it into one bitmap raster image which removes all the information about how the drawing was created or what it even is. As a result, it can not be redrawn or exploded into objects by pdf2cad. The most we can do with scanned files, is to create a high-quality copy to be used as a tracing layer in your CAD program. If you look in the directory where the file was saved, you’ll notice that two or more files were created – a DXF and at least one TIFF or JPEG image. The DXF references the image(s) and assembles them on-screen when loaded. They must be in the same directory as the DXF file or the DXF file will look empty. This blank page effect will also occur if your CAD package does not support raster images. If you want to try to create vector objects from a scanned drawing, you need a different class of software called “raster to vector”. This is an extremely difficult thing to do well. We recommend you start at trixsystems.com. They have a good product which performs specialized raster-to-vector conversion. Why is no output file produced? Sometimes there is no output file produced or it may seem as though the software has quit working. This has to do with an invalid page range setting. All of our products can convert one page, all pages or a page range. By default, they convert all pages. If you choose a page rage, you must reset it to all pages when done since the software remembers the last settings you used. If a conversion is attempted with an invalid page range, it will not produce a resulting file. It may seem as though it is not working. 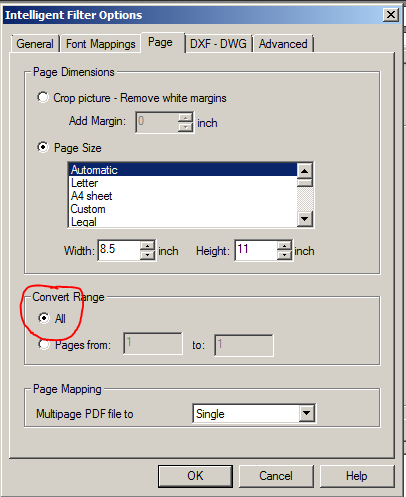 Once you go to “Options, Page” and adjust Page range to “All Pages””and re-attempt the conversion, you will produce a file. 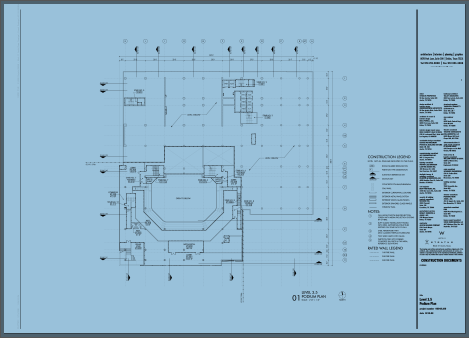 What’s the Difference Between pdf2cad, PDFin and pdf2bricscad? pdf2cad, PDFin (formerly pdf2AutoCAD) an pdf2bricscad are different types of products. pdf2cad is an advanced, standalone PDF conversion program while PDFin and pdf2bricscad are plug-ins that require another program to run. PDFin requires AutoCAD or another Autodesk program that supports their extension API (Autoloader API). pdf2bricscad requires BricsCAD. pdf2cad is a powerful standalone program available for both Microsoft Windows and Mac OS X. It opens PDF, EPS and AI files as editable DWG, DXF or HPGL files. It provides many advanced features and user-definable conversion options. With pdf2cad, you can convert multipage PDF files, control layers based on color or other attributes, rotate your file during conversion and more. It converts multiple files and full directories with ease. pdf2cad costs $199. PDFin and pdf2bricscad are plug-ins. PDFin is Autodesk Approved and available in their Autodesk Exchange | Apps. pdf2bricscad is available from Bricssys. Both will open any one-page computer-generated (vector) PDF file using controls within these programs. 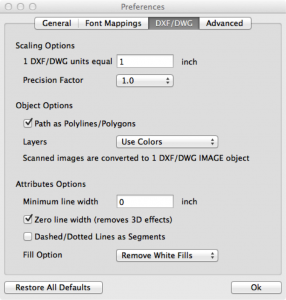 All objects can be modified and the file will be saved as DWG or DXF. Text will be editable as long as it was stored as characters in the original PDF file. If it was “plotted” as pen strokes, the text will appear but can not be edited. The plug-ins arenot for scanned drawings and other raster PDF files. 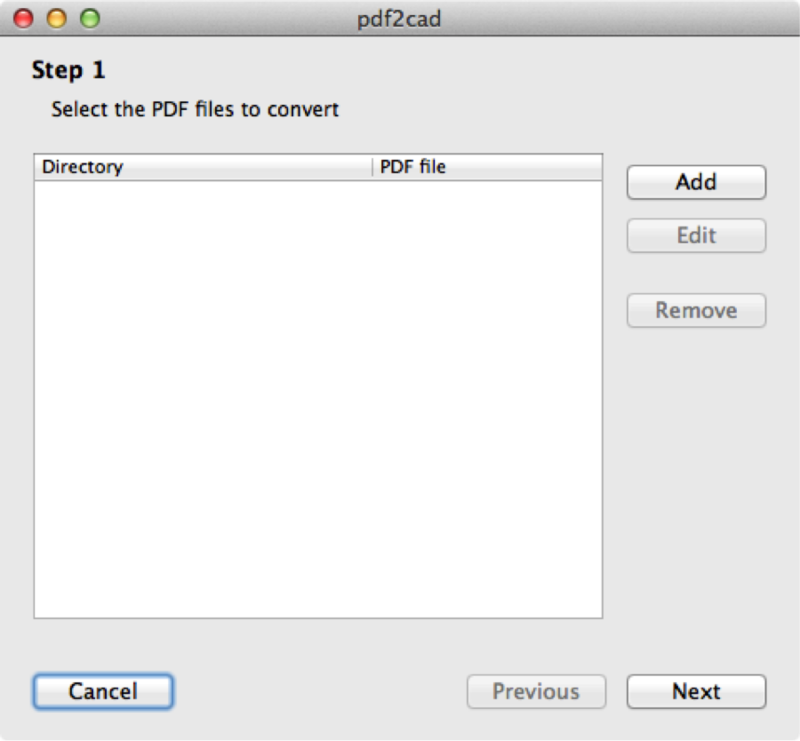 This tutorial assumes that you have already installed pdf2cad on your Mac and that you can access it from the Applications Folder, the Dock or the Desktop. Choose your preferred method and launch pdf2cad. Step 1: Upon launch, Click Add to select the files you wish to convert. When you click Add, you will see a list of files from your computer and any known linked devices to choose from. Select the ones you want and then click Open to move them into pdf2cad. 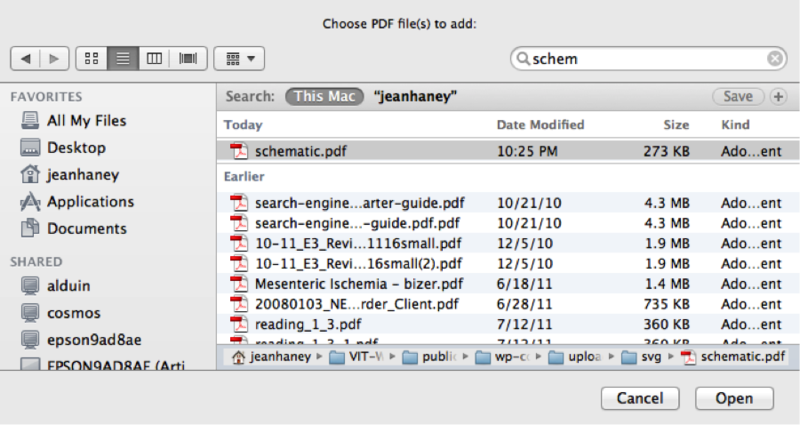 The selected files will be displayed in the preview pane on the left. On the right, are the most often used settings. These defaults should be correct for most conversions. Click OK to continue. If you find that you need to change rotation or fine-tune the process, there is a Preferences button where advanced settings can be applied. If you do not need to make any adjustments, you may click OK to run the conversion. The Options are covered at the end of the tutorial. Once you have clicked OK on the previous screen, you will be returned to the file selection window. Add more files or select Next. The conversions to be performed will be summarized on screen. Choose where the results will be stored. The default is in the same directory as the original file. Click Convert to proceed. Once the conversion is complete, you can choose New Conversion to perform more operations or Exit the application. The converted files will be in your file system, usually in the same folder as the original folder. You can now open them in your CAD application. The General Settings control options that apply to any file. These include choices about how you want text to be converted in your file. Optimal will ensure that any editable text remains editable while Convert Characters to Curves will deliver a perfect match if fonts are not available on your system. You can also choose to rotate the file or ignore items such as images which can not be edited. Finally, you choose your format on this screen – DWG for AutoCAD, DXF for most engineering and technical programs and HPGL for plotter specific applications. If the same fonts defined in a PDF file are not installed on your computer, the converted drawing will not display properly. Font mapping is a way to compensate for this. For more information on fonts issue, refer to the FAQ sub-section. The DXF/DWG options apply specifically to the attributes of the CAD drawing. Here you can adjust scale as well as treatment of layers and composition. The Advanced options are where some of the real power is in pdf2cad. These options allow for intelligent reconstruction of the CAD objects from a flattened PDF format. What does “Error in VPORT Table” mean? An error in a VPORT table is not a common error and needs to be diagnosed. It could result from a corrupted input file, a partial conversion or an importing error. To troubleshoot, please send the original PDF file to us at support@visual-integrity.com. We will test the file and get back to you with a solution. 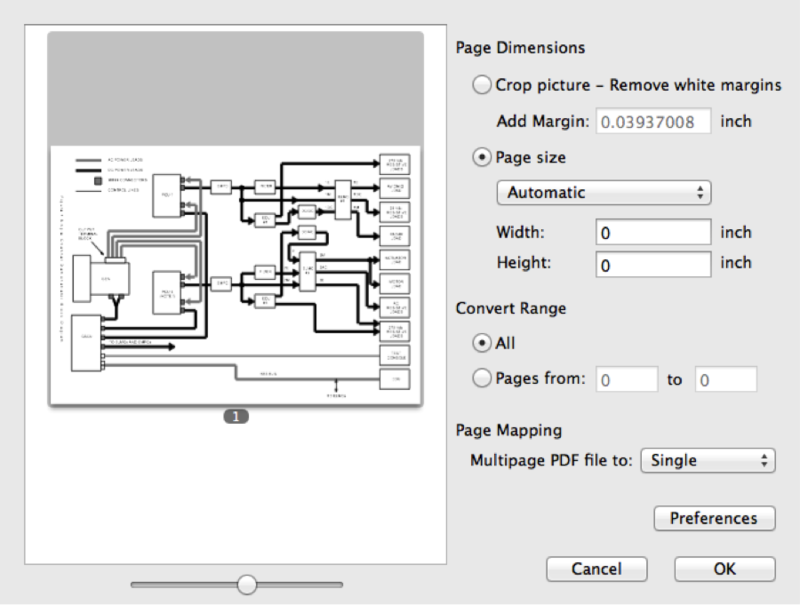 Can I convert PDF directly to DWG? Yes. pdf2cad and PDF FLY can both generate DWG. In addition to the native AutoCAD format, both products can also produce DXF and HPGL. Looks good, but is there a way to convert circles to circles rather than to a string of short lines that look like a circle? Yes! We have developed a intelligent mechanism to “recognize” circles/ellipses out of a set of polylines or bezier curves. It’s a standard feature of pdf2cad. Why doesn’t the hatching convert properly? The hatching in your PDF-file is done with a pattern fill. Patterns fills are not recognized or supported in the DXF format. Since it can not understand the hatch, pdf2cad maps it to a grey value which can be manually modified once in AutoCAD or whatever editing application you use. 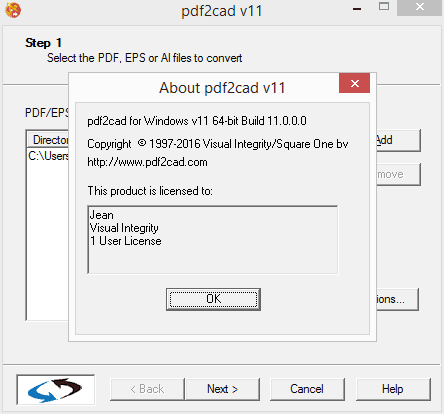 What is the difference between pdf2cad and PDF FLY – both convert to DXF, right? pdf2cad is designed especially for CAD users and costs just $195. It is a subset of PDF FLY and converts only from PDF into DXF or HPGL. It contains all of the features and power of PDF FLY for these selected formats. How do I edit a PDF file in my MS Office application? 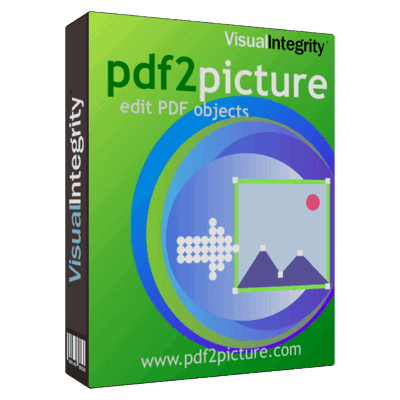 If you want to edit the graphics in a PDF file in Microsoft Office or Visio, you’ll want to try pdf2picture. It operates in both vector and image mode and you can choose which is most appropriate at the time of conversion. Vector mode explodes the file into editable text and objects while image mode makes a high-fidelity copy of the file in an MS Office friendly format. pdf2image is also available as a low cost option when you just need to use raster image formats. It is ideal for those who work on websites or printed publications like newsletters, brochures and customer bulletins. To use the graphics produced by either pdf2image or pdf2picture in MS Office, you use Insert > Picture > From File… to add the converted graphics into your document. If you used vector mode (Windows Metafile WMF/EMF), you can now edit text and graphic elements using the Office drawing tools. Note: Neither pdf2image or pdf2picture are for converting Word documents or reports heavy in text. Where can I learn more about the conversion options? If you are using a desktop product, there is a Help file included with the software. Just click on the Help button found in the bottom right corner of the software dialog. A new screen will open, with a table of content for all the available topics. You can expand the outline to find the section on Conversion Options or search the index using the Find command. Depending on which product you are using, there will be General Options, Page Options, Size Options and Format Specific Options. For Developers – In the “docs” directory of the Conversion SDK installation, each option is explained in “options flysdk.pdf”. In addition to the description, for each option, the corresponding API function is listed. rotate(0) Rotate the drawing using the angle specified. Default = 0, no rotation. How do I select more than one file for conversion? Converting multiple files is also called batch mode and all of our products support it. To specify more than one file, use the “Add” button. Once you have specified your first files, you can remove files and add files until you have the batch of files together that you want to convert. I am sure that my files are PDF files but I can not find them to convert. Why not? When adding files, pdf2image, pdf2picture and pdf2cad will only display files with a .pdf extension. If the file you want to convert has a different extension, but you are sure that it is a PDF file, you should rename it to include a .pdf extension. PDF FLY is capable of digesting more input formats so it expects files with a .pdf, .ps, .eps or .prn extension. Can I edit PDF files in Visio? Convert the PDF file to WMF, EMF or SVG (see which format produces the best results for your file) using pdf2picture. WMF and EMF are the native vector graphic formats for Microsoft applications. SVG is supported by Visio and is the standard vector graphic format for web-sites. Adjust your drawing. You should see your file on the screen now. Adjust your paper size and orientation if necessary. Ungroup the Drawing. Select “Shape, Grouping, Ungroup…” to explode the drawing into individual editable objects and you are ready to make any changes that you want. Is your drawing scanned? Before converting, make sure that your PDF file in not a scanned image. If it is, it can not be edited at the object level using this approach. To see if your file can be converted or not, open it in Adobe Acrobat and magnify it to 1000%. If the lines look smooth, you’ll have success. If the lines look jagged or boxy, it is scanned and you will need to use a different approach. 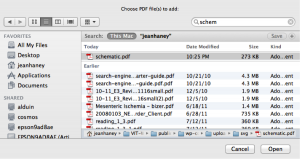 > more on how to determine what type of PDF file you have. Text as curves. 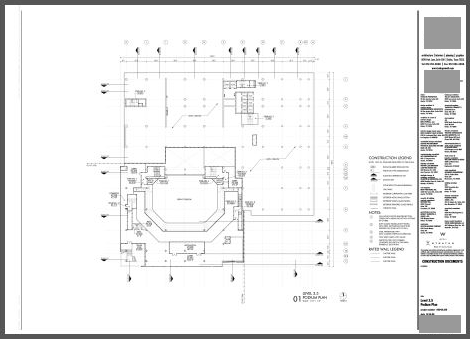 Sometimes, when drawings are originally authored in CAD systems, the text is “plotted” when it is saved to PDF. This means that the text is converted to a series of pen strokes or “curves” and the character information is lost. In this case, you will not be able to edit the text but you will have a graphical representation of it that you can use or replace in context. 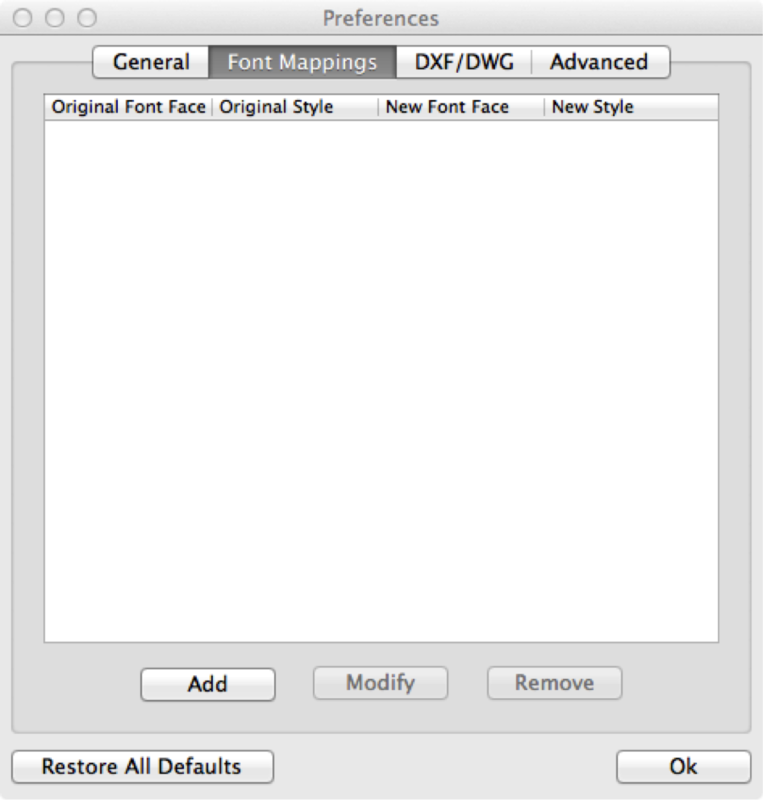 If you just find that the font does not match the original file, you may need to use the font mapping feature during conversion. Objects or shapes? When the drawing is saved to PDF, all information about pre-defined shapes is lost. When opened in Visio, an octagon is eight lines which can be grouped or ungrouped. Mind your Memory. Because of the large number of objects in many Visio drawings generated from PDF files, you’ll need a bit of power on your desktop. Every file is different so it’s hard for us to make general recommendations. If you find that the file is opening slowly or takes a while to refresh, you’ll need more memory. It’s not unusual for a converted PDF file to be comprised of more than 50,000 individual objects. This may sound intimidating but pdf2picture makes quick work of it! Ask for Advice. If you try to convert a PDF but are not getting the results you expect, ask us to troubleshoot it for you. It’s free and we are happy to help you achieve optimal results. Just send your PDF file tous along with a brief description and your contact info. The most complete requests are handled first. Is pdf2cad also available for Linux or UNIX? 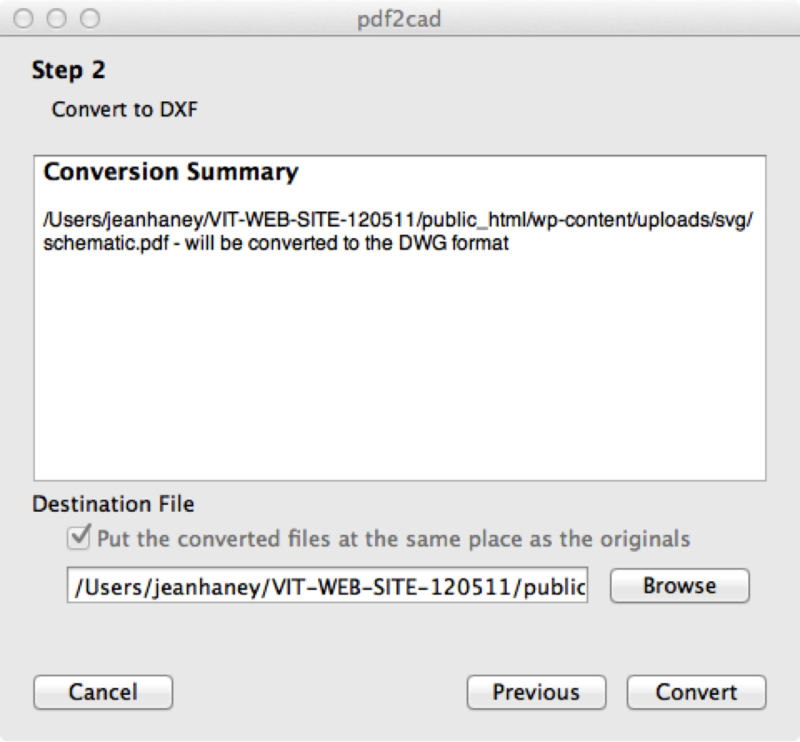 Although pdf2cad is not available for UNIX or Linux, the PDF to DXF conversion capability is part of PDF FLY which is available on Mac OS X, Sun Solaris, HP-UX, IBM AIX and Linux. The Linux version, developed on Red Hat, also runs successfully on other Linux implementations, such as FreeBSD and SuSe. For all of the UNIX/Linux platforms, the PDF to DXF functionality is accessed via a straightforward command line tool, offering the same core functionality as pdf2cad on Windows. For more information, visit www.pdf-fly.com. Can I run pdf2cad as an automated batch process on a server? 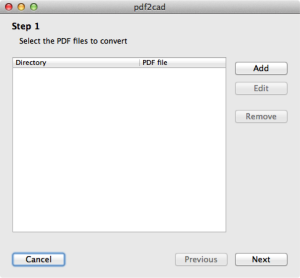 pdf2cad will convert a “batch” of files when requested by the user. It’s as easy to convert an entire directory of files as it is to convert one file. That said, sometimes, companies want to use a watch folder or use scripts to automate conversion. When this is required, you’ll want to use FLY Batch. PDF to DXF is one of the modules in FLY Batch, a command line driven batch conversion engine that’s easily scripted for automated, central, high-volume or real-time processing. It runs on Windows, Mac, Linux and UNIX platforms. Why can I edit files converted from vector PDF in my engineering program while I can’t edit those converted from scanned PDF files? pdf2cad is designed to convert vector PDF files which are generated by other applications using print, export or save-as. They contain all the data about the drawing which is accurately extracted as editable CAD objects. Since scanned drawings (raster PDF) have been flattened and reduced to bitmap images, we can not reassemble them into objects. We do however convert them into a tracing layer which is referenced in the DXF file and supported in programs such as AutoCAD. If you need to create a vector file from this file, you can use the tracing layer as a guide for redrawing the file or use a different class of software called raster-to-vector to try to generate objects. 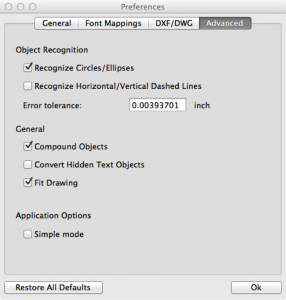 In order to see or use the tracing layer, your target application must be able to open DXF files and display referenced images. Our conversion of a scanned PDF produces a blank DXF file and one or more image files in either the TIFF or JPEG format. They referenced images must be located in the same directory as the DXF file to be displayed. Otherwise, you will see a blank page. Does pdf2cad convert pdf arcs to cad arcs? Not yet, but it is a frequent request and we have added it to the development schedule. We do not have a release date scheduled. Please email support@visual-integrity.com for an update on availability. Why do I get a warning about unknown fonts at the end of the conversion? This warning is to let you know that your PDF file uses non-standard fonts or font names. When this happens, you’ll probably notice that the text in your output file may look different than in the PDF when you open it in your target application. This not an error – just a reminder that some fine-tuning may be required, Please see the other entries on fonts and visit the Help system in the software for more detail. If needed you can turn off the font messages, by adding the line: font_warnings(0) to the ini file of the application. This Tech Tip explains how Visual Integrity software handles fonts in general. For fonts to appear correctly in a vector output file, the same font with the same naming convention must be on both systems. Sometimes, any mismatch can be resolved through font mapping. If you need support on adding fonts to your environment please contact support@visual-integrity.com. Custom font mapping is available as a service but is not covered by the standard Advantage Support Subscription. 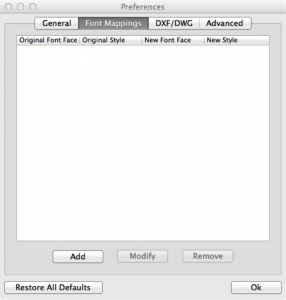 By default the fontname used in the PostScript or PDF file is used also as fontname in the vector output file. Using the Font Mapping dialog you can change this by creating a mapping between the original fontname and the fontname you want to use in the vector output file. Fonts are not embedded in the vector output formats. Most of the vector output formats do not support embedding of font data. What fonts are included and which need mapping? The font glyphs of the 13 standard PostScript fonts are included. If you need to convert to an image format or the text to curves/polys (= emulate) in a vector format either the font must be one of the 13 standard fonts or the font should be embedded within the PDF or PostScript file. Contact support@visual-integrity.com if you want to add font glyphs. IMSI Design selected pdf2cad™ to add PDF import into their wide range of products for Windows and Macintosh. Now, engineering drawings saved as Adobe PDF files can be converted into DXF files that can be opened and edited in TurboCAD®, DoubleCAD®, DesignCAD® and other popular engineering programs. ZWCAD 2017 provides a cost-effective solution for the entire CAD workflow, from the very beginning to the very end of your projects, with innovative, collaborative, and customizable features. pdf2cad adds a valuable feature to the mix by enabling you to open and edit PDF files in ZWCAD. ZWCAD is committed to providing the most reliable and outstanding CAD/CAM solutions for its customers. Their products meet the needs of drafters across the 2D and 3D design industries, including AEC (architecture, engineering, construction), mechanics, manufactures, and electronics. For the past eight years, ZwCAD distributors around the globe have been bundling pdf2cad with ZWCAD in order to provide great value and meet their requirement to import and edit PDF drawings. Contact your ZWCAD reseller today and ask for the ZWCAD/pdf2cad bundle! GstarCAD has built our pdf2cad functionality into a tightly integrated add-on to GstarCAD called PDFtoDXF. Contact your GstarCAD reseller today and ask for GstarCAD PDFtoDXF! pdf2bricscad is a dedicated plug-in for BricsCAD. Based on the proven, best-selling stand-alone pdf2cad for Windows and mac OS X, pdf2bricscad opens PDF files and renders them on-screen as editable BricsCAD drawings. All objects and text will be extracted and quickly and accurately. pdf2bricscad will successfully convert computer-generated PDF files, it is not designed to convert scanned drawings (raster PDF). These scans will be presented as an underlay or tracing layer. As part of the Bricscad partner program, Visual Integrity has released a plugin which converts vector engineering drawings, saved as Adobe PDF files, into DXF files which can be opened and edited in Bricscad. BricsCAD® is the powerful CAD software platform unifying the familiar feature set of native dwg with advanced 2D tools and intelligent 3D direct modeling on Windows and Linux, and this at a compelling price. BricsCAD provides Application Developers with the broad suite of APIs required to deliver advanced solutions to cost conscious customers in the AEC, GIS and mechanical CAD markets. BricsCAD V13 software is available in Classic, Pro and Platinum editions addressing needs going from simple 2D drafting to complex 3D engineering, and now also including BIM*, mapping* and assembly functionality. The software, available in more than 15 languages, can be downloaded from the Bricsys website or obtained from a BricsCAD sales point in one of more than 70 countries worldwide. cad2cad Software develops CAD conversion and visualization products such as TwinView Edit and TrueDTP in the European market. They are especially well known for data conversion. Many large companies, as well as engineering, architecture and dra wing offices, have opted for their accuracy and reliability of cad2cad’s products and cad2cad depends on Visual Integrity for the PDF to DXF features. ProgeCAD PDF import powered by Visual Integrity. progeCAD 2010 is the newest version of progeCAD that represents the state of the art of the IntelliCAD® evolution. The DWG support from Version 2.5 up to 2011 and the high level of compatibility with the AutoCAD® environment and interface are only two of the key features. ProgeCAD 2010 offers PDF Import with just one click. Their solution for this is based on the CAD SDK from Visual Integrity. Click below to see a demonstration video! © 1993-2019 All rights reserved. Visual Integrity Technologies LLC.